That suggests the Tories could increase their majority here in 2015, given how low the Lib Dem vote is. In fact, trawling through these marginals, the Con vote is not bad atall. I’d like to eventually have a list of how every marginal seat in the county council areas voted on Thursday so we can see what the true state of affairs is. I don’t think the national projection is particularly helpful in that regard. This is a seat that Labour need to win, not only to get an adequate national majority but also to have any presence in Kent. At present it is looking like an uphill task. As Anthony’s profile indicates, the Labour vote in this seat is concentrated in Dover itself, a run down town serving the port, and to a lesser extent in the former coal mining villages. This means that Dover is likely to be less volatile in terms of results than other former Labour seats in Kent. The result may be affected depending on whether Labour put up a candidate, like the last MP, whose profile is attractive to their core constituency or whether they find somebody who will try to reach out more to the middle class vote in Deal and Walmer. Charles Elphicke has been very active and has built a profile in the national media as well as locally. The incumbency effect benefiting MPs seeking election for the first time may well act strongly here. As Andy JS’ figures show, there is likely to be a strong UKIP vote here, although Elphicke’s presence may hold it down a bit. I doubt whether this (or far right intervention) is likely to have a major effect on the Conservative/Labour swing, but others might help with comments on this. This seat is about as bad a prospect as one can get for the LibDems in Southern England. The Conservatives even held this seat, on the naval vote, in 1906. If the General Election result were as the current opinion polls suggest, with a Labour majority of about 80, I have a feeling that this would be one of Labour’s disappointments, with Elphicke hanging on. And opinions if anything are return towards the Conservatives as the election approaches. I think Elphicke will hold this seat. I cannot see Labour gaining enough votes to win this back just yet but they will remain strong here, especially in Dover itself. This still remains one of their best shots in Kent along with Gravesend and Dartford – although I don’t think Labour will win any of those in 2015 either. One can still see the mining influence in Mill Hill and Aylesham- I think Labour will have carried both by about 1000 even in 2010. But I agree very much with what others have said- I think Elphicke will hold on in 2015. (3) 17.7% of Dover residents aged 16 or over have Level 2 qualifications as their highest qualifications- ranked 24th in England and Wales. I wouldn’t fancy Labour to win any seats in Kent. Nor would I, Tim. In fact, Labour’s gains from the Conservatives in the south-east could be limited to Sussex: Hove; Brighton Kemptown; Hastings and Rye; and Crawley (the latter being a distinctly long shot in my view). I think Labour will take Dover. Realistically, Charlie Elphicke is going to become a junior minister which would mean he will have less time in his constituency and the Labour PPC, Claire Hawkins, is very, very good and she is local. If Labour really get the vote up and start doing more to appeal to the South (hence get Peter Mandelson or someone), she’ll take the seat. Mike is right. I do not think politicians of all colours do enough to appeal to those who may not be their ideal voter. Common sense policies would give the Tories something to persuade Northern voters with, while a sound financial plan would benefit Labour down South for example – although I am more than aware that nothing is that simple. I also think the fact that the three main parties are so close ideologically and heavily London focused doesn’t help either. Good to see Frederic posting again. I was worried that he had died. 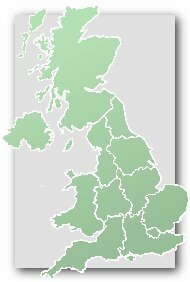 Have Labour ever before had more MPs in Sussex than in Kent? In fact its certainly possible that in 2015 Labour will have more MPs in Sussex than they have in Kent, Essex and Hertfordshire put together. Or indeed more MPs in Sussex than in Kent, Essex, Hertfordshire, Suffolk and Norfolk put together. Even if Labour only gain Kemptown, Hove and Hastings they may only gain Norwich South and Thurrock in the other counties. I think that Ipswich is a very likely Labour gain, since Pete mentions Suffolk. I think that Norwich N & Great Yarmouth are also quite likely. However, those 2 are a bit harder & the very high UKIP vote in the latter means that basically it’s anybody’s guess. I am currently not expecting a Labour gain in any seat in Kent, but it’s not impossible yet by any means. I’d be amazed if Labour don’t gain Ipswich. The local party seems very effective and I’d back them to take the seat even in the Tories have a national lead. I’m not sure about Great Yarmouth, but having Bob Blizzard standing again ought to give us a much better shot at Waveney than we’d have otherwise. And Stevenage really ought to go Labour next time if we’re even halfway competent. Harlow and the Basildon seat are tougher, the former because of Halfon and the latter because of the way the town is split, but I don’t think either of them is less likely than Crawley. I assume by Basildon you mean the more marginal ‘South Basildon and East Thurrock’ as opposed to ‘Basildon & Billericay’. Basildon that was 67% the same as the old Billericay and Brentwood & Ongar that was 72% the same as the old Billericay. More or less an equal division, though both halves may have picked up small parts of other constituencies. In resurrected Billericay in 1983 combined 39,742 electors from Basildon with 24,957 electors from Thurrock (so other than Billericay itself, had very different boundaries to the previous Billericay), and the remaining part of Basildon 56,727 electors was combined with 66 electors from Thurrock. Not certain for the reason for the recent boundary changes because the 1983 – 2010 constituencies were effectively ‘Basildon’ and ‘Billericay & East Thurrock’ and the changes have effectively created ‘Basildon North & Billericay’ and ‘Basildon South & East Thurrock’. A donut has been reformed as sandwiches. I definitely think that East Sussex is the most fruitful territory in the south for Labour. In addition to Hastings and the Brighton & Hove area, I also think they are likely to take Thurrock, Ipswich, Norwich South and perhaps, if the swing is fierce enough, Cambridge. I certainly don’t expect any gains in Kent, Berkshire, Buckinghamshire or West Sussex. Pretty much agree with the sentiments expressed above. Labour has drifted a lot in Kent. They lost every single seat they gained in 1997 and by some medium to wide margins. They control the council in Gravesham and selected what looks like a very impressive candidate, but the majority the Tory MP has built up there is still a major challenge (not even on Labour’s target list). Not sure they could even regain Chatham and Aylesford, despite becoming a semi-marginal Tory seat in 2010. Others like Dartford, Sittingbourne and Gillingham look out of reach. A small number of Sussex seats certainly look a better bet. Will ‘Hastings & Rye’ be as good a prospect for Labour without Michael Foster? I suppose it partly depends on how effective a campaigner Sarah Owen is on the doorstep. The other part depends on how popular Amber Rudd is locally. He was the only Labour MP the constituency ever had and came within 5000 votes of gaining Hastings in Oct 1974. When he did not stand the Labour vote collasped to a miserable third and when he stood again Labour went from a poor third to take one of their their most unlikely gains in the UK. Well, Labour has certainly done well in the area since 2010. After winning control of the council that year, they advanced further in 2012 and won 7 of the 8 divisions in this year’s elections. Even when you add in the results from the Rother divisions, Labour were still about 10 points ahead of the Conservatives. As with Enfield North, demographics are moving against the Tories fast and I would be very surprised if Amber Rudd manages to hold on at the next election. I think that, although Foster was undoubtedly an effective constituency MP, the surge in Labour’s vote in 2001 – it was the largest increase in the party’s share in the country – was more down to brutal squeezing of the LD vote. The Conservatives did this too, and they also enjoyed a substantial increase in vote share in 2001 but still fell further behind Labour whose vote rose from 34% to 47%. His personal vote in my opinion wasn’t that huge – I do think that it’s more of a shift in demography in Labour’s favour, but also a huge tactical unwind – remember that the LDs were serious challengers in the seat in 1992. The wholesale destruction of the LD vote in 1997 followed the publication of a constituency opinion poll showing Labour ahead, which was gleefully and very skilfully seized on by the local party; clearly they were helped to turn the poll into actual votes by the fact that, at that time, New Labour’s writ ran very large indeed in many parts of the country. Barnaby- a similar thing happened in St Albans in 1997 IIRC. The electorate’s hostility towards the Tories knew no bounds in that era- deservedly some might say. It was similar, but the difference there was that the boundary changes reduced the notional Tory lead over Labour to one requiring a single-figure swing (just) – there was, unusually for 1997, no boundary change in Hastings. The tactical unwind wasn’t quite of the magnitude of Hastings & Rye though the LDs still started in a notional second place. Of course, since then there has been enormous tactical rewind, if you like, back to the LDs in St Albans, which hasn’t happened, and clearly won’t happen, in Hastings & Rye. I am still in the land of the living, Richard! I have difficulty getting to a computer, though. One issue to look at in relation to what seats Labour might gain in the South is the size of the LibDem vote, on the grounds that anti-Coalition voters may change from LibDem to Labour. On this argument a seat like Reading East, see my recent post, may be a better prospect than one like Dover where the LibDem vote is well below average. I wouldn’t rule Labour out of the picture in either Reading seat or the Milton Keynes seats either, for that matter. If either main party fails to make major in-roads in their ‘weak’ regions (Tories – the north; Labour – the south) it would probably come down to the Midlands. There’s a number of marginal seats to play for in both East and West Mids and the Lib Dems have very little representation there (just Solihull and B’ham Yardley) so it’s likely that marginals in Derbyshire, Notts, Warwickshire, etc will be a two horse race. Even if the Midlands are determined, it might still end up as a hung Parliament. I can’t see either party making inroads outside their heartlands in 2015- I don’t see any significant evidence for it in the local elections we’ve had since 2010. We’ve reached an impasse, which probably favours Labour but probably not enough to give Miliband a significant majority. For me, the big question is what will happen in 2020. Can the Tories make some kind of breakthrough in the wwc West Riding, as 2010 suggested they one day might? Because I don’t see anywhere else in the north that looks particularly promising for the Conservatives. Re Merseymike’s comment – I’d be surprised if Milton Keynes North were to fall. I don’t know the politics of the various wards – but as in MK south there is significant new development (Broughton in particular must be 1000 homes alone). In addition, some of the grottier areas, like Oldbrook and Wolverton, are seeing some new development also. Most of the areas in Milton Keynes itself (within the constituency) are essentially pleasant self-contained suburbs with (generally) good privately owned housing stock and quite a bit of open land. I don’t know Newport Pagnell’s voting record – there are some nice areas but equally there are some pretty average areas as well as I’d imagine it’s competitive. But broadly speaking, most of the development I see is good development, and I don’t see any evidence of any areas going downhill particularly (the relatively grotty areas are already grotty). Therefore I’d assume this would be gradually trending Tory which, combined with a 16% majority, would seem to make it a pretty tall order for Labour..
At the moment, I think Labour will gain about 50 seats in 2015. They will make good progress in the north and the midlands but will struggle to gain more than 10-15 seats in the south including London. They could end up with a similar number of seats to what the Conservatives had in 2010. There would need to be enough Lib Dems holding their seats in that case if another coalition had to be agreed to. I can see the Lib Dems winning 35 seats or so which would be enough for a coalition with Labour if the latter win 305-310 seats. Crawley and Harlow are possible Labour gains too. Labour led in both at recent local elections. South Thanet labour may win too on a low %. The south east marginals are quite volatile. However some of the Pennine marginals may not be quite so easy, incumbents performed well there in 1987, despite the national swing. I imagine a large personal vote may be coming in Harlow. Crawley looks a pretty longshot and South Thanet even more so. I haven’t much time to comment just now, but we need to look further at South Thanet. The swing to the Tories last time there was so large, as in several other Tory gains in Kent that, with the addition of an incumbency effect, Labour will have an uphill struggle, although in South Thanet I believe they have a young candidate who has already made a mark by winning a County Council seat. In South Thanet particularly, and in Kent generally, we have also to consider the psephological implications of a strong UKIP vote. I am inclined to suspect that where Labour is in effect looking for a protest vote to get a large swing the raised UKIP vote might actually be slightly to the Tories’ benefit, by reducing rather than stopping a swing from Conservative to Labour. Labour did OK in Dover and Deal in the CC elections even though the tories narrowly carried this constituency. Crudely speaking Labour did not lose votes directly to UKIP here unlike the rest of Kent.